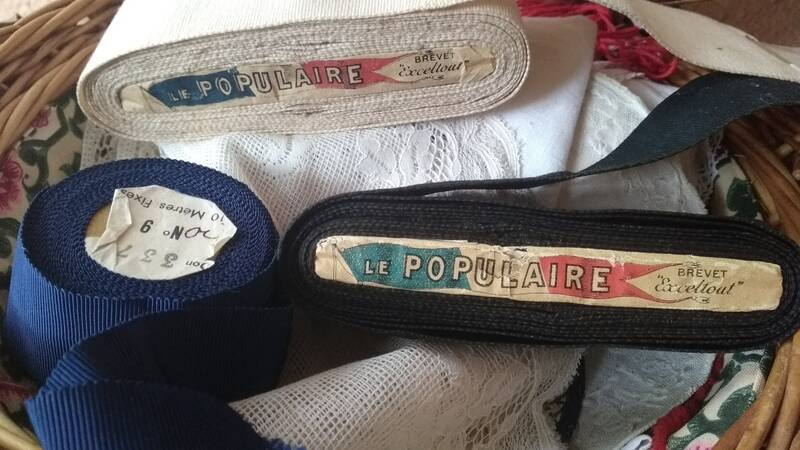 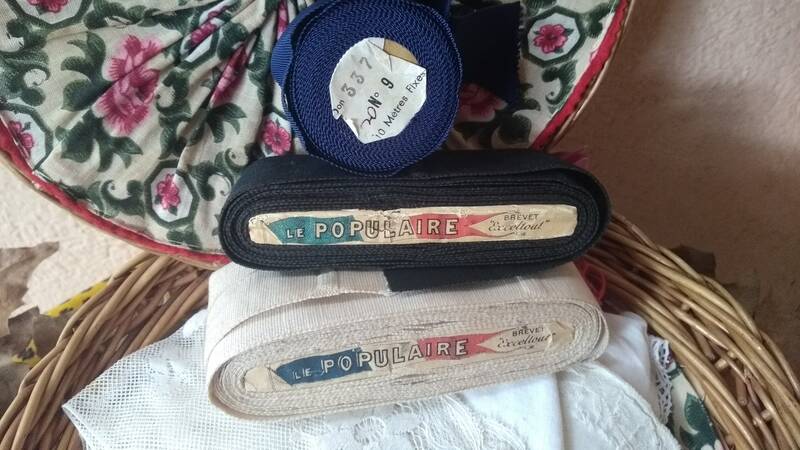 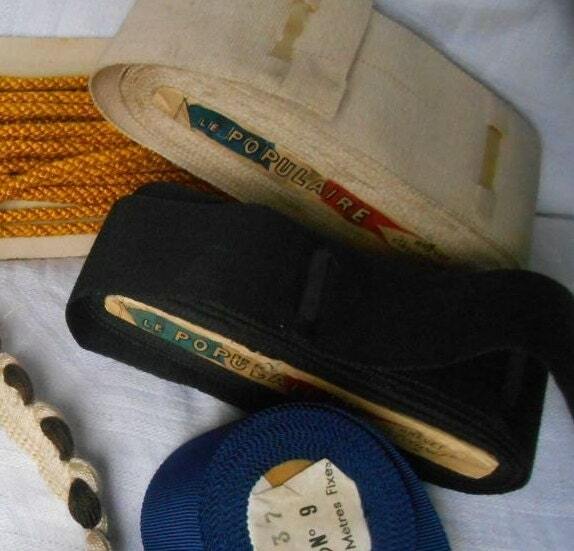 LE POPULAIRE French Ribbons GROS GRAIN. 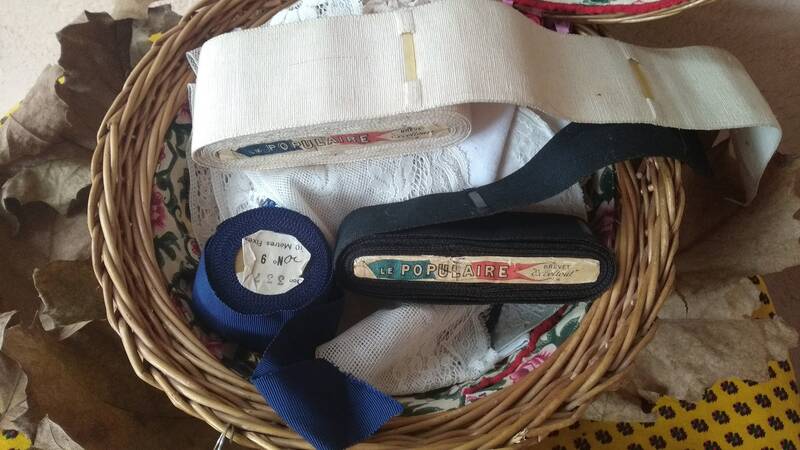 Antique French haberdashery. 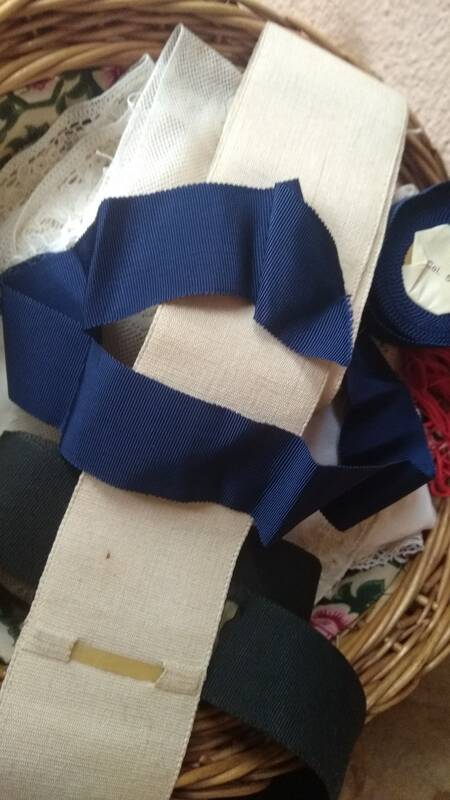 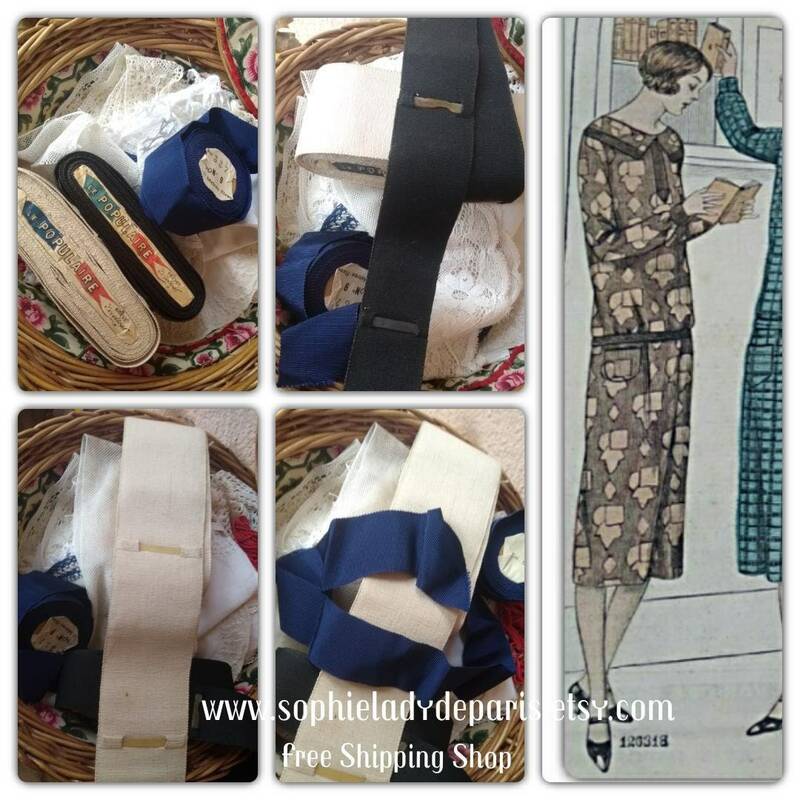 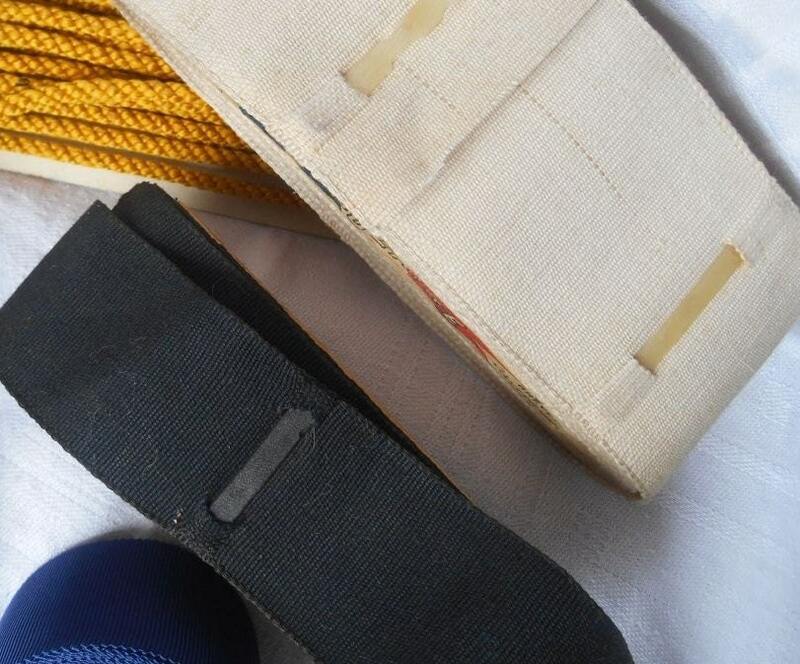 3 large gros grain ribbons black , white , navy blue. 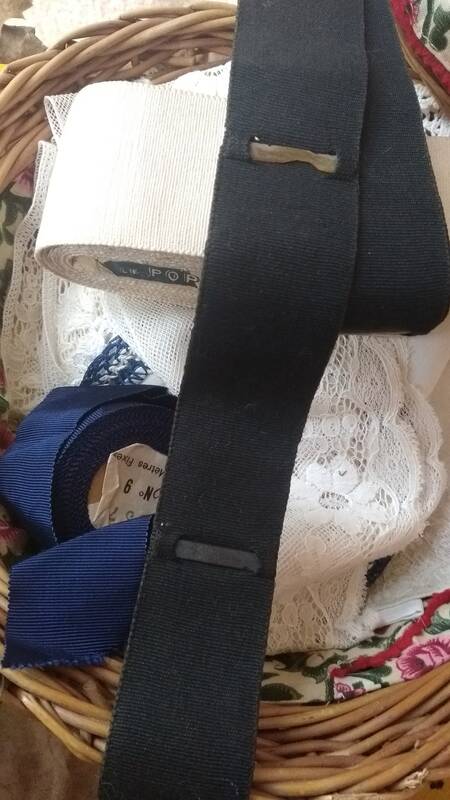 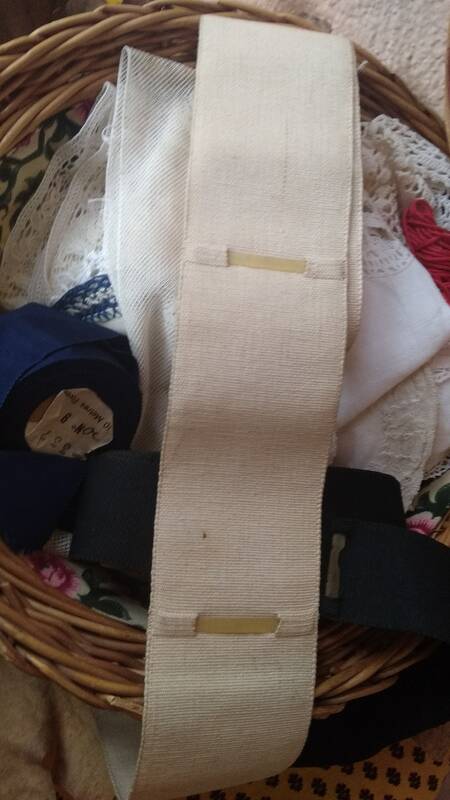 Very original collectible antique French haberdashery to keep as collectible or to be in use again to restore costumes or corset.